The Marvelous Mr. Moyer, The Sax Man! Wow, who is that handsome man on the sax? You’re about to find out! 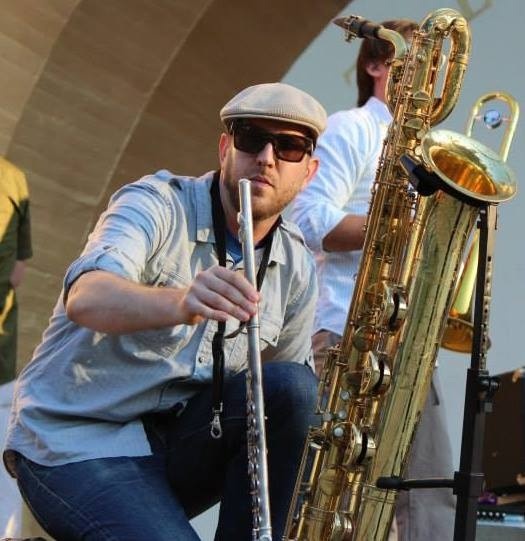 Andye interviewed Mr. David Moyer, the saxophone player at the Wiltern show that took place just recently. To skip straight to the interview, please scroll down to ‘please enjoy.’ Thanks! “Tears for Fears!! Tears for Fears! !” the crowd’s chant roared above us. Like race car drivers refueling between sips of water (or in our case, wine), we tried our best to get our bearings after what was an incredibly outstanding set. Katie shouted, “What do you think they’ll play next? !” She had to yell just loud enough for me to hear it but among that roar it was barely a whisper. “I have no idea! !” I yelled back trusting she’d hear me despite us standing closer than canned sardines along the front of the stage. Snug in our usual spot at the Wiltern we then joined in the chant ourselves but our attention was quickly diverted when the stage lights rose again and out stepped an additional member…with a saxophone. WE. WENT. INSANE! It was the zenith – a purely EUPHORIC moment and the Marvelous Mr. Moyer played it flawlessly, contributing to what fans and critics say was a legndary night at the Wiltern. It will live on for ages, decades even…the night that Tears for Fears carried “The Working Hour” out of its sacred place in the vault and back out on stage for one of the band’s favourite cities to enjoy. #MysterySax, as he had become known, vanished before there was an introduction. Fast forward two days later, after a solid 48 hours of praise, videos of the performance were all over YouTube, the more than 15 active TFF fan generated pages and more. But where was this guy’s name? Where was #MysterySax? He was all but trending on Twitter. The Good Sir solved it all and quenched our curiosity. Armed with nothing more than a bit of courage, a ton of fan questions and virtual hugs, I set out to find him with “best wishes on the hunt for Mr. Moyer” in tow. Mr. Moyer turned out to be a really cool guy and very tolerant. I held nothing back, all emotions on the table, which is rarely my initial approach. I was not reserved, I greeted him with obvious excitement and joy. Like a child walking up to Mr. Wonka, but still well-behaved, I told him how several of us felt about his work. He was very receptive and from that little 2D chat came this. Please enjoy! Also, note, there is no flow, these were the 8 Frequently Asked Questions from Twitter, FB, fan texts and email. After receiving his answers I was eager to learn more (i.e. about the instruments he collects) but out of respect, remained focus and on task. Perhaps we can invite him for tea to learn more in the future. 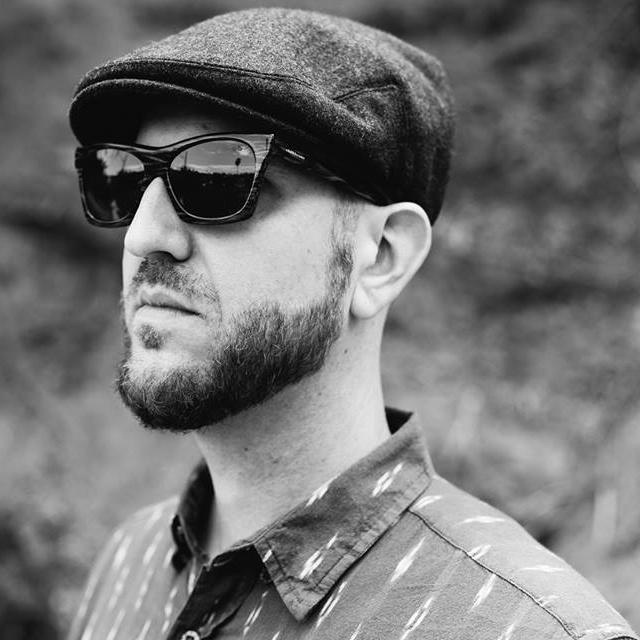 AA: First – Congrats on Tropicoso! Several from the TFF Travel Fan Team purchased copies. We’re all very excited about it and play that vimeo video often! It’s such a joy! DM: Thanks so much! I am really proud and excited about this record. This group has had a really organic, natural flow, and we are all thrilled that the music resonates so much with people. It’s a humbling and fulfilling feeling. AA: Looking at your music history we’ve learned you are quite the fantastic collab master. Are you now collaborating w/Mr. Smith and Mr. Orzabal/Tears for Fears on their new things, etc.? This may be secret, don’t answer if you can’t. DM: I honestly don’t know. I wish I could provide you with more information. I would absolutely love to be a part of future music. I, like you all, grew up with TFF, and it’s a real joy to be able to work with them on a professional level. AA: The Ventriloquists were the first band with which we we identified you. Given many musicians enjoy working w/multiple bands, do you enjoy the same or are you focused on one at a time? DM: I find that working with multiple groups, and in various styles and genres, keeps things fresh and interesting on a musical level. The Ventriloquists is a group that I have with several of my close friends from my undergraduate days at UCLA, and we have been a band for almost a decade. We are currently working on our third record. I’d describe it loosely as a post-Americana group with electronic and jazz elements. I get to play keyboards and sing background vocals in the band in addition to saxophone, so it provides me a different musical prospective than I typically get. I also do a lot of studio work here in LA, and I find that to be very creatively satisfying. One day Im working on an indie rock band’s project, the next day it’s a big band. It really keeps me on my toes creatively. AA: Your saxophone is as beautiful as you! 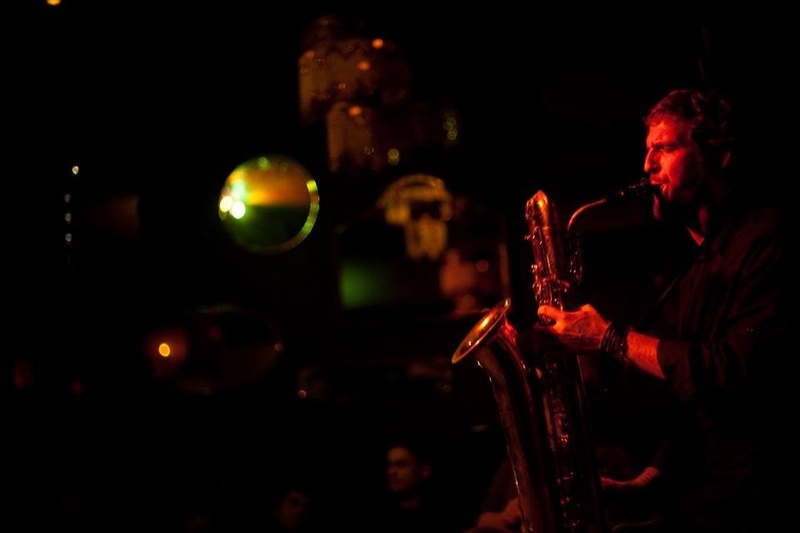 Is the Sax your main passion or do you play other instruments? Mr. Moyer & his many wind instruments. Beautiful! DM: Thank you! Saxophone is definitely my main instrument, and if we want to get really specific, the baritone is my passion. But I also love playing the tenor, alto, and soprano. I play the flute, alto flute, clarinet, and bass clarinet as well, and do a lot of studio session work on those instruments. I’ve been fortunate to travel quite a bit, and I like to collect instruments wherever I go. I’ve got flutes from Turkey and Kenya, as well as various percussion instruments. I recently brought home several wind instruments from Colombia, including a reed flute called a flauta de millo, and a lengthy flute with a golden timbre called a gaita. I also play keyboards, and like to record and produce music. AA: You seem to keep a modest profile online, are you open to fans or fan pages featuring just you (aside from myspacemusic)? DM: Yes, absolutely! I actually am in the process of building my website so that my online presence is a bit more easily accessible. It will be at http://www.davidmoyermusic.com. I need to delete that myspace music profile. I haven’t checked or updated it in many moons! AA: When did you know you’d be playing with TFF? Was it a phone call and what was your reaction to the Working Hour? We have to assume you love it as much as we do, you played it flawlessly. DM: My friend Carina Round sings in the band. She sent me a text over the summer asking if I was interested in possibly doing some things with the group. Fast forward a few weeks, and I was finishing up some Korean BBQ with the bass player in my jazz group when I got another text from Carina asking if I was available. It was serendipitous, because my friend and I had just been talking about TFF during dinner. He has a copy of Songs From The Big Chair on vinyl and had been rocking it earlier in the week. It kind of snowballed from there. And yes, I do love that song, it’s epic! And the record in general. I grew up with that music, so it’s a huge honor to be able to play with them now. AA: When you walked out on the stage that night, what were your first and second thoughts? DM: Well… I actually had a loose screw on one of the posts on my horn, and I left my small screwdrivers in my baritone case, so my first thought was ‘please don’t let my horn fall apart on stage!’ Music performance is as much a head game as it is a discipline of skill, so I was able to silence the small critic in my head. At that point, I was solely focused on the music. I am able to get into a head space in which I can focus on responding to what I am hearing despite standing in front of a big audience. Not that I discount the audience, Im just able to zone them out to a certain extent. I’ve played to some pretty large crowds, including the Coachella Main Stage and the Glastonbury Festival UK, so I’ve got my strategies at this point. Actually, I find larger audiences to be less intimidating. Everything just kind of blurs together when the crowd is huge. AA: Your appearance on stage made us eager to learn more about your music and we soon found Jungle Fire which is clearly a very exciting group. Is there anything more you can tell us aside from what is online (i.e. are tour dates in the works, more videos)? DM: Indeed, all of us in Jungle Fire are very excited about the group. The guys in the band are an absolute joy to play, write, and work with. We have all been friends and colleagues for years prior to the formation of Jungle Fire, and share common musical interests, influences, and aesthetics, so it really has a natural flow at this point. We’re playing the main stage at the first annual Supersonico Festival at the Shrine Auditorium in LA this Saturday, October 11th. The festival is a joint partnership between Nacional Records head Tomas Cookman and Goldenvoice, the promotion firm that puts on Coachella. We are doing a live in-store performance on October 16th at Fingerprints Records in Long Beach, CA, and have our record release show on November 7th at The Mint in Los Angeles. We did an 8-date tour in the UK last November and December after getting a grant from the UK Ministry of Culture, and have just returned from playing the Mompox Jazz Festival in Mompox, Colombia. It’s looking like it’s going to be a busy 2015, and we are all looking forward to where things will take us. 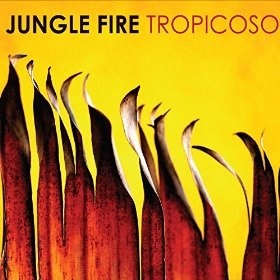 You can check any tour dates and news out on our website at http://www.junglefiremusic.com. AA: What is most important to you right now? DM: At this point in my life, what’s most important to me are family, friends, and work. I am at a point in my life where I am totally comfortable and at peace with who I am, and I want to continue to do the things that bring me and others joy in life regardless of what people might think. We want to thank Mr. Moyer for taking time out of his day to answer our questions. Again, his answers just made me want to know more. He was such a great addition to the team that night! We hope there will be further collaborations as he is certainly an outstanding and accomplished musician with even more to share. For TFF Travel Fan resources follow @papasfans on Twitter or ‘Tears for Fears and Kooks’ on Facebook – we update and revise info on our blog & other publications regularly with respect to the band, fans and collabs. Posted on 12/10/2014 29/07/2016 by International Business and Cultural ExchangePosted in Collaboration Wishes, Frequently Asked Questions (FAQs), Tears For Fears Live Shows, Tears for Fears Regional Fan Club News & Online FunTagged Baritone Saxophone, Interviewing The Best, Jungle Fire, Music, Musicians, Saxophone, Tears for Fears Sax Man 2014, The Ventriloquists, The Wiltern, The Working Hour Tears for Fears, Travel Fan Clubs, Tropicoso.